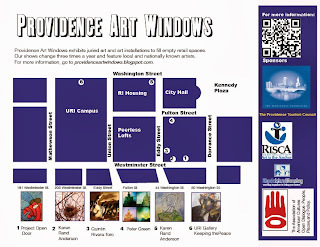 Providence Art Windows continues to exhibit installations for the conference of the Association of American Cultures, Open Dialogue: People, Places and Policy through the fall season. New for October in the URI Providence Library Windows, selections from Keeping the Peace: One person at a time. Featuring the work of the late (Sister) Corita Kent, the late Christian Corbat, Dido (Rev. Bill Comeau), Saberah Malik, Cynthia Packard, Monique Rolle-Johnson, Anthony Tomaselli, Deanna Camputaro and Central Falls High School Students, The Peace Flag Project, Mathewson Street Church Peace Crane Project. 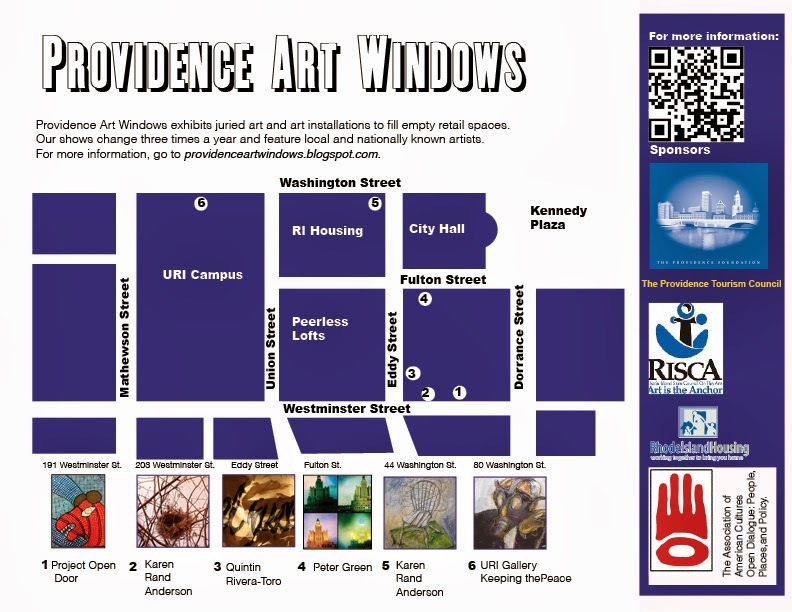 Included in this Fall session of Providence Art Windows are Project Open Door, Quintin Rivera-Toro, Peter Green and Karen Rand Anderson. 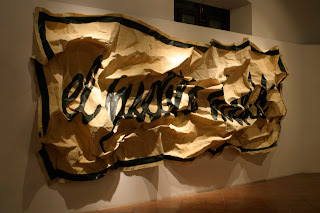 The painting "el pueblo habló" (the people spoke) - 2009 is part of the series titled "Weak Paintings" which were all made in reaction to the global upheaval caused by the 2008 market crash. The canvases are wrinkled, the text is crumpled, as if to say that these are discarded statements, like a piece of paper ready to be tossed into the trash. Quintín Rivera Toro was born in Caguas, Puerto Rico in 1978. He holds a B.F.A. in Sculpture from Hunter College, New York - 2001, as well as B.A. in Communications and Film Studies, from the University of Puerto Rico in Río Piedras - 2007. He received his M.F.A. Degree in 2013 from the Sculpture Department at the Rhode Island School of Design in Providence, Rhode Island. 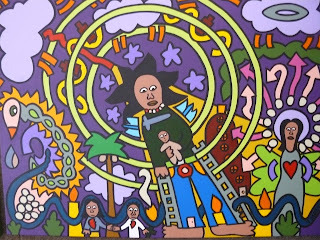 In his native Puerto Rico, he was awarded The Lexus Grant for artists; His public art project “Un espacio libre” originally shown in his hometown of Caguas, was invited to travell to El Museo del Barrio for the S-Files biennial and the art fair PINTA, both in NYC; It was also shown in the Museo de Arte de Puerto Rico and with F.I.S.T. 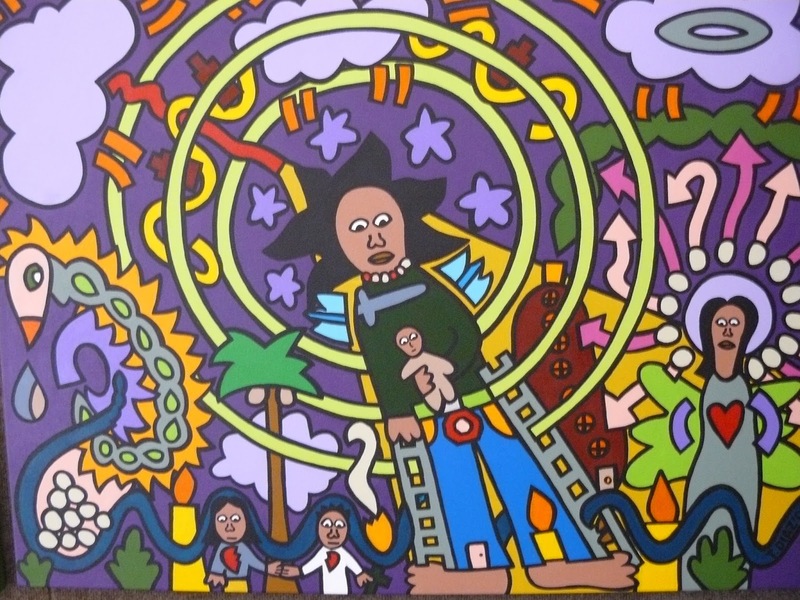 ART in Dorado. His photographic work received an Honorable Mention from Puerto Rico's Museum of Contemporary Art and a First Prize award from the University of Sagrado Corazón's Contemporary Photography Contest, in San Juan. 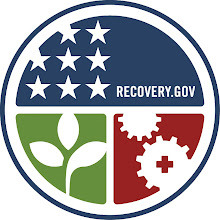 He co-founded and worked as the Director of ÁREA, lugar de proyectos in Caguas. Quintín has been awarded the DAAD German Academic Exchange Travel Grant, with which he travelled to Cologne and Berlin in Germany; Full fellowships for residencies at the Vermont Studio Center, in Johnson, Vermont and the National Academy of Design in New York City; He has also been an artist in residence at the Ox Bow School of Art, S.A.I.C., in Saugatuck, Michigan; He worked as an intern at the Chinati Museum in Marfa, Texas; Studied with the Escuela Internacional de Teatro de América Latina y el Caribe (E.I.T.A.L.C.) in Cuernavaca, Mexico; His work was selected by Zona MACO art fair as a focused work, and displayed his "Weak Paintings" in a solo booth sponsored by VH1; He was awarded an Achievement Scholarship from Transart Institute and completed their summer residency program in Berlin, Germany. Quintín is a Rhode Island State Council for the Arts (R.I.S.C.A. - N.E.A.) Individual Artist Grant Recipient, and has received a Sylvia Leslie Young Herman Scholarship Award, and Academic Honors from the Rhode Island School of Design. He was included in refinery29.com's "Top 10 list of rising NYC art stars" curated by Casey Fremont. Most recently his artwork was cited in the New York Times Travel section as: "Striking Contemporary Art, like a monumental photograph...".